There is a painfully obvious disparity between some of the school robotics teams in our county in terms quality of education, funding and its prevalence in schools. Robotics is categorized as a club, rather than a team, by the school, which is contrary to what active members think. The most present members of the robotics teams work on the robots everyday for hours on end, and even longer as competition grows closer. Because it is a club, robotics does not get the same advantages that a team would. 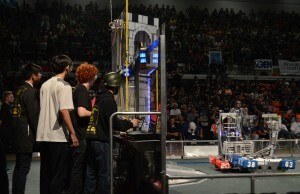 The Ventura High School Robotics Team is widely regarded as a model team in terms of their methods, community outreach and attitude towards their games. The team has its own designated two story building with a loft for extra equipment and resources. Being next to the metal shop, wood shop, welding and computer science classes, the convenient locations allows students of similar interests to exchange ideas, collaborate and form connections. Meanwhile, the NPHS robotics team members are stuck in the back of the school in a very dusty shed, which is not the ideal environment for mechanical work. The NPHS robotics team is made up of very gifted students; unfortunately there are roughly only 10 active members. The real kicker is the lack of competition funding. Being a club, robotics does not receive funding from the school, even though it is what the activity demands. Things like buses and hotels for competitions are just not an option for members. The club is purely funded by sponsors, but even that is not enough. Things like money are usually not an issue for sports teams. 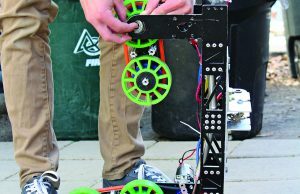 Nonetheless, members of the robotics team have demonstrated an astounding amount of dedication to engineering and computer sciences despite the lack of funds available to them. However, sustaining the flow of members will be a challenge if the needs of the team cannot be met. STEM is a field that is steadily rising. As more STEM oriented jobs appear, so should the opportunity for students to thrive in what they love to do. 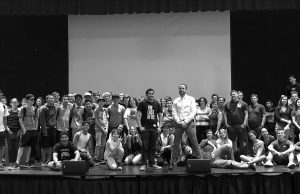 Following the model set by Ventura High School, robotics should become a class so that students can receive a deeper education and take advantage of opportunities to apply their skills.